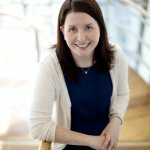 Sandra Galvin, Programme Manager for the Health Research Board –Trial Methodology Research Network (HRB-TMRN), blogs about the START competition that challenges children in Ireland’s primary schools to become trialists, and Professor of Health Services Research Shaun Treweek, one of this year’s judges, reflects on what they achieved. Every day, both adults and children are bombarded by health claims, either through mainstream media, social media or discussions around the coffee pot or playground. The trialist community are all too aware that randomised trials are considered the gold-standard, fair-test of treatments available, which enable us all to make informed healthcare decisions. This community is also all too aware that recruiting participants to trials can be the most challenging element, often being the crucial factor on which a successfully conducted trial rests. In 2016 the Health Research Board – Trials Methodology Research Network (HRB-TMRN) in Ireland considered when the concepts relevant to randomised trials are taught to the general public, if at all. It was soon clear that there was a gap in relation to demystifying trials for the general public. Concepts like randomisation, the purpose of a control group, the importance of selecting the right outcomes or how to present results, are all concepts that when understood, could make taking part in a trial a lot easier, and also make it easier to be critical of the daily deluge of health claims. 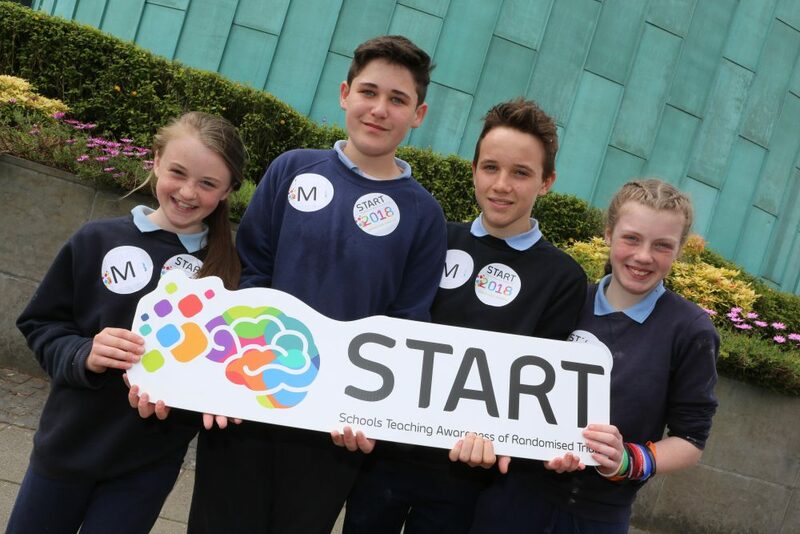 To address this the HRB-TMRN, developed START – Schools Teaching Awareness of Randomised Trials which is a unique, national competition in Ireland that challenges primary school children (aged 8-12) to simulate their very own trial and report their findings. The competition coincides with International Clinical Trials Day which takes place every year on May 20th, which celebrates the first well documented trial by James Lind in 1747. Trials are fun – and kind of complicated! 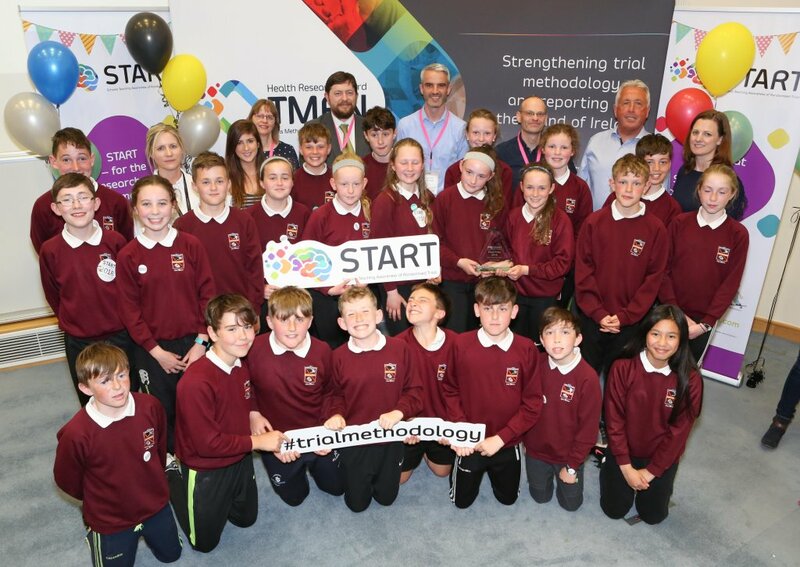 To date the competition has engaged with thirty schools nationally in Ireland, with students taking the lead on designing their very own trial. The challenge for students is to put together a research question and then answer that question using the rigorous steps of a trial, from selecting outcomes, identifying participants, obtaining informed consent and randomisation. Students can report their findings in any way they wish, and to date entries have been received in various formats such as websites, recorded dramas, podcasts and reports. 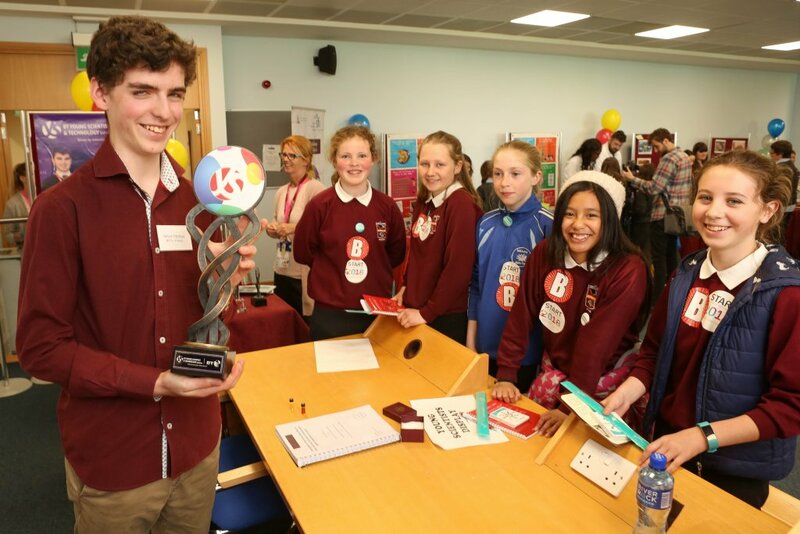 The competition has proven popular and the HRB-TMRN are now conducting a formal evaluation with the schools involved to investigate the impact this fun and exciting competition has on learning outcomes. The competition has surpassed the expectations of the HRB-TMRN team, who were initially unsure if young students were up for the challenge. The entries received to this competition have shown that not only are students capable of delivering a well-planned trial, but also encounter and handle the same issues faced by “real-world” trialists, such as solving recruitment issues, realising that your original idea won’t work and dealing with missing data. And all professional trialists will be able to relate to one student’s comment that trials ‘..are in part fun and you learn about new things but.. it’s kind of complicated.’ Feedback from the students has also identified a broader involvement in each school entry, with students reaching out to the community for greater involvement on the projects. So how did things go in 2018? There were 11 entries investigating issues as diverse as antimicrobial soaps, carbon dioxide in classrooms, memory training and quartz crystals. The students working on every submission engaged themselves completely with the problem and method, a joy to behold. The judges were handed a difficult task and choosing the 1st, 2nd and 3rd places was hard. Indeed it was so hard that the judges failed, and awarded a joint 3rd place to two school teams. A wildly entertaining morning on the 18th May involving robots, molecules, two snakes, a tarantula and desktop clouds and thunder led to an afternoon of prize-giving. 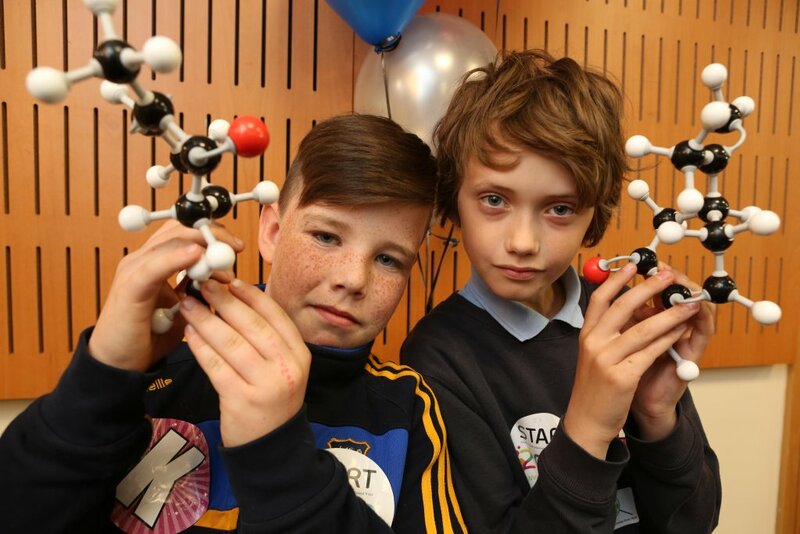 Two START finalists exploring molecules. Morning activities also involved robots, two snakes and a tarantula. The winner by unanimous decision was St Joseph’s National School, Kinvara, Co Galway whose trial was entitled ‘The effect of fidgeting on concentration’. The students noticed that some of their classmates fidget a lot when listening. They investigated the effect this had on their concentration by comparing concentration scores between the control group, who sat with their arms crossed, and the test group, who had blu-tack to fidget with, whilst listening to their teacher. A fabulous website presented their trial, a lesson in effective presentation for us all, student and professional alike. The winners! St. Joseph’s National School, Kinvara, Co. Galway. Second place went to Glinsk National School, Co Galway and the two teams the judges couldn’t separate for third place were Meentogues National School, Headford, Killarney, Co Kerry and St Michael’s National School, Castlepollard, Co Westmeath. So is understanding randomised trials child’s play? Well judging by the 2018 entries, absolutely! It is entirely possible for primary school children to choose a research question and then design and run a trial to answer that question. That they enjoyed doing it so much is good news for all of us: the trialists of the future have already started their training. You can now see the projects and some film and photos from the 2018 START competition here. Join in the conversation on Twitter with @shauntreweek @GalvinSadie @hrbtmrn @CochraneUK or leave a comment on the blog. 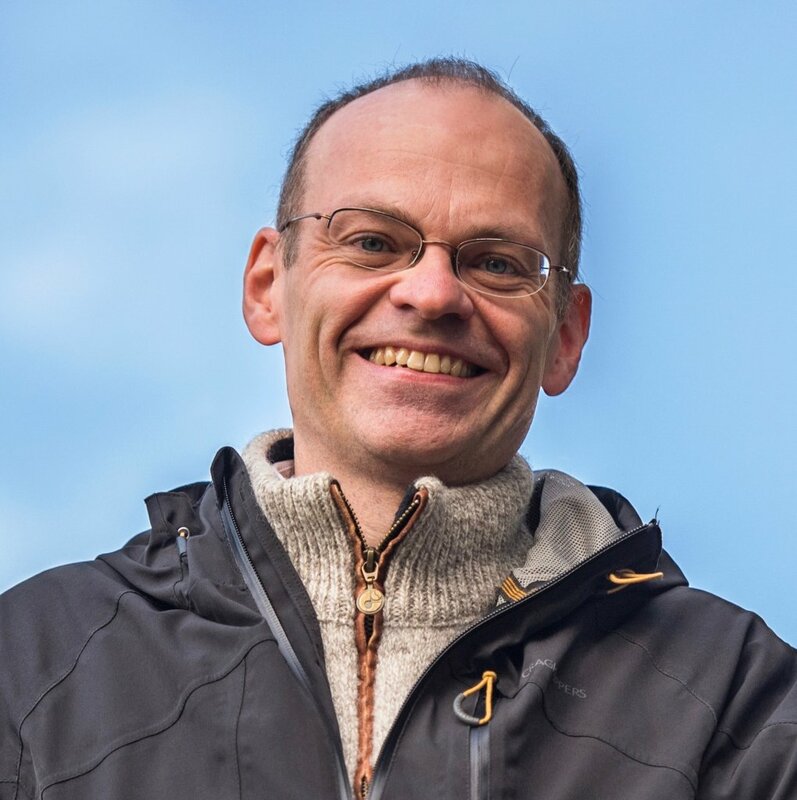 As Programme Manager for the Health Research Board –Trial Methodology Research Network (HRB-TMRN) Dr Galvin is responsible for the development, maintenance and expansion of an energetic, adaptive, and innovative network. Along with the Executive Committee, Sandra is responsible for shaping the strategic direction of the network as well as delivering on the core activities of the network. Sandra is responsible for the networks initiation and expansion, strategic development, coordination of events and maintenance of Ireland’s first Clinical Trial Expertise Database (C-TED) and for running the Trial Methodology and Reporting Advisory Service (TMRAS), as well as promoting the network via social media and attendance at conferences and events. 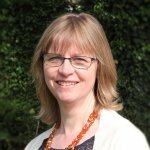 Sandra has led on creating a number of key collaborations with national organisations to improve and build on the current randomised trial support infrastructure in Ireland. Might you be able to put links to the project reports? I Would be fascinated to read them. Yes we’d really like to and have asked our START colleagues. We’ll add them when they are ready – it would be great for people to be able to see their excellent work!